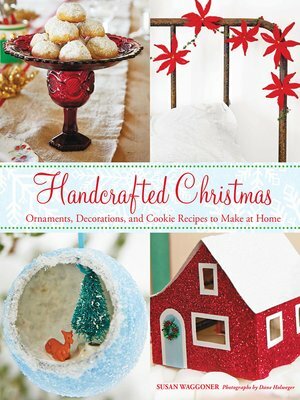 Fans of nostalgia can craft their way through the holiday season with this newest volume by popular Christmas author Susan Waggoner. The 40 easy projects range from charming punched-tin votive holders, to Russian teacakes for holiday parties, to your very own edible gingerbread house (complete with miniature snowmen on the front lawn). Peppered with engaging facts about the holidays gone by, this is the perfect book for crafters who long for that vintage holiday look. Susan Waggoner has written numerous fiction and non­fiction books. She is the author of STC's It's a Wonderful Christmas, Under the Tree, Christmas Memories, and Have Yourself a Very Vintage Christmas. She lives in New York City.